One of the dominant trends in residential real estate over the past decade has been the increasing demand for property in new developments. This is especially true on the back of increasing property values in the resale market, making it more viable for developers to create a new product and remain competitive on pricing. There are some considerable benefits to purchasing in a development as opposed to a property in the conventional suburbs. One of these benefits is the inclusion of VAT (Value Added Tax) in the purchase price which is paid to the government by the developer. If you are bonding the purchase of your new home the VAT portion can also be bonded over the term meaning you don’t have to find additional funds needed to pay transfer duty. In most cases, developments offer some form of security, which can range from a hi-tech biometric system to the more standard electric fencing with controlled access. The additional security is a deterrent for criminals and gives the home owner considerable peace of mind. In many developments, depending on where in the construction process you make your purchase, the purchaser often has a choice of finishes to choose from – thus allowing you to personalize the property. It may also be possible to select optional extra’s that the developer will fit for you, saving you the hassle of doing so yourself. And let’s face it – there is something special about moving into a brand new property! Of considerable importance is the fact that when you purchase from a developer, you are protected by the Consumer Protection Act. 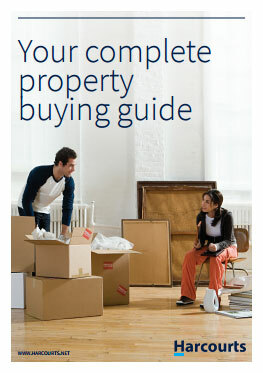 You can be assured that you will receive the property you purchased, free of defects. You also enjoy a 180 day period where any defects will be repaired at the developers’ cost – something that you do not enjoy when buying a resale property from a seller that is not a developer. Developers are looking for advantages over competing products. As a result many are incorporating lifestyle elements into their offering. It’s not uncommon to see a development offering a communal lifestyle center, swimming pool and gym, tennis courts, golf course, and other recreational facilities exclusive to residents. For many purchasers these elements add tangible value – giving you access to facilities that may otherwise have cost you significantly more to enjoy. There are some “sacrifices” you need to make when purchasing in a development – such as conforming to the Body Corporate or Homeowners Association rules and regulations, or the architectural guidelines. But these restrictions actually protect your investment and ensure residents enjoy the lifestyle they have bought into. In many markets in South Africa the demand for properties in gated estates has increased significantly. Because of the increasing demand there has been strong growth in property values in developments – usually higher that growth in the suburbs. 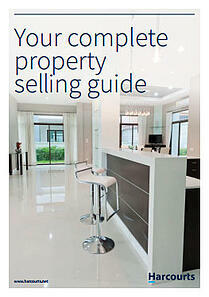 Be sure that when you work with a development agent they are fully licensed and know what they are talking about. Agents have strict obligations under the Consumer Protection Act to explain your purchase clearly so you know exactly what you are purchasing. When you consider the fact that your development purchase gives you a strong return on investment, the ability to choose your finishes, and access to exclusive facilities – it’s no wonder many purchasers are making the decision to purchase in developments.